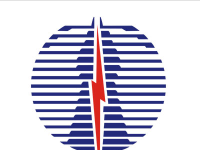 DRDO Recruitment 2019 – Defence Research and Development Organisation (DRDO) Job notifications for Junior Research Fellowship (JRF) various disciplines. 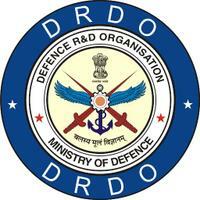 The detailed eligibility and application process of DRDO Recruitment are given below. M.Tech in first division (both at graduate and post graduate level) in the fields of Atmospheric Sciences/Meteorology/Physics/Mathematics /Statistics/Geology/Geophysics. 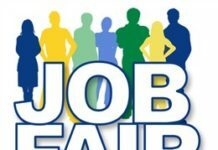 Selection will be made on the basis of performance in the Walk-in-interview. All interested and eligible candidates may attend walk-in along with required documents at the following venue on 30 April 2019. Visakhapatnam, Andhra Pradesh – 530 027. Postgraduate degree in professional Engineering course (M.E./M. Tech.) in relevant discipline in first division both at Graduate and Postgraduate level. Age limit (As on the Date of Interview): Below 28 years. All interested and eligible candidates can attend walk-in-interview along with required documents at the following venue on 10 April & 11 April 2019. Required Documents: Interested candidates may appear for a walk-in along with a bio-data (format given) clearly indicating the name of the fellowship applied for, with a recent passport size photograph and Xerox copies of testimonials. They must also bring all original Mark sheets/Certificates/ Testimonials/Community Certificate (if applicable)/GATE/NET Score Card and ID proof (Voter’s ID/AADHAR Card/Pan Card/Driving License).